This year focuses on Spanish talent, looks to Europe, explores Arab culture, discusses issues such as the role of women in the arts, the future of the media, and particularly reporting on culture, as well as providing an opportunity to meet leadincontemporary writers, thinkers, and artists. 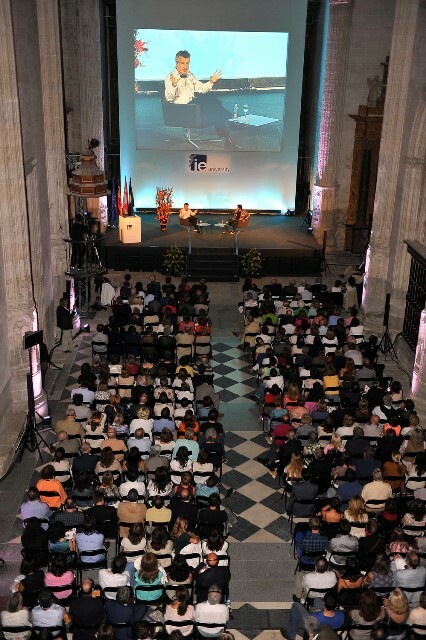 The HAY Festival Segovia celebrates its 10th anniversary, marking this historic occasion with a varied and full programme over the course of 10 days, from inauguration on September 11, and then from September 19-27. And to provide some insight into how Spain is seen by the rest of the world will be three distinguished journalists who have spent many years reporting on Spain: John Hooper, The Guardian’s Southern Europe Editor and author of The New Spaniards and The Italians; Paul Ingendaay, the Frankfurter Allegemeine Zeitung’s correspondent and author of a German-language guide to understanding the country; and Giles Tremlett, The Economist’s correspondent and author of The Ghosts of Spain. Argentinean journalist Jorge Lanata, founder of Página 12, one of the country’s most important newspapers, will be discussing events in his country over the last three decades.